San Diego County encompasses approximately 4200 square miles so the various San Diego neighborhoods have countless contrasts. From the urban areas of Downtown and Balboa Park to the suburban areas of North County, each San Diego Neighborhood has its own unique culture. For the purpose of searching properties, we distinguished neighborhoods San Diego into Downtown, Metro San Diego, San Diego Beaches, North County Coastal, and South County Coastal. We have provided a brief synopsis of the characteristics of each San Diego neighborhood, but these outstanding areas must be visited in order to experience the terrific qualities they offer. Downtown San Diego: Downtown San Diego is the heart of the city’s entertainment and arts zone. It has a balanced mix of residential condominiums, office buildings, restaurants, night-life, art galleries, and schools. Metro San Diego: This area is characterized by the areas surrounding Balboa Park which is one of the finest urban parks in the nation. This area is characterized by its truly urban feel, quaint craftsman homes, and high concentration of entertainment, art, museums and cultural diversity. San Diego Beaches: The Coastal Zone in Central San Diego is exemplified by white sand beaches, clear blue green waters, excellent weather and high-density, yet charming homes and condos. The city centers have a relaxed beach culture vibe and are welcoming for both locals and tourists. North County Coastal: These coastal suburban areas are known for their large beautiful homes, excellent schools, safe family-oriented neighborhoods, and beautiful coastline. South County Coastal: This stretch of San Diego is known for its great weather, affordability and proximity to one of San Diego’s longest stretches of white sand beach. 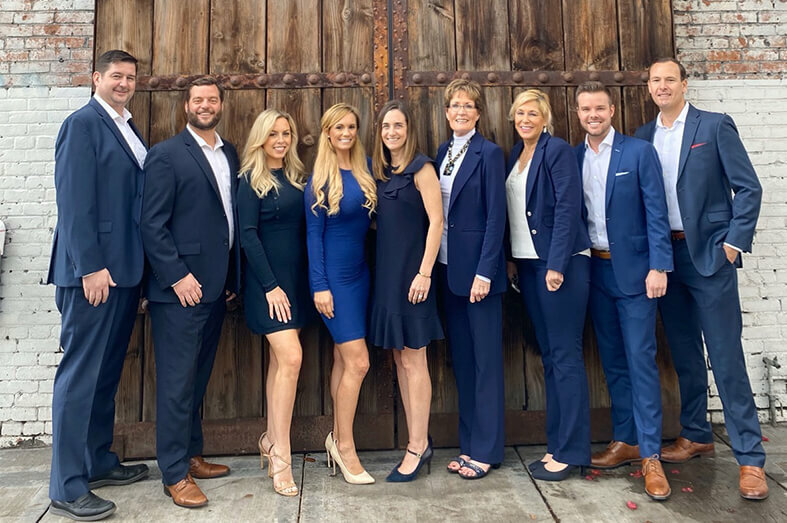 If your search for a downtown San Diego real estate agent has lead you to Chad Dannecker & Associates, consider yourself fortunate and look no further! My husband and I live in Orange County and were looking to buy an investment property in San Diego. We immediately liked Chad’s professionalism, responsiveness and in-depth knowledge about San Diego properties. As a downtown resident himself, Chad is plugged in to everything ‘San Diego’ and his first-hand knowledge about how the city’s current revitalization and redevelopment impacts each neighborhood’s property is invaluable. We bought a La Vita condo in Little Italy and had such a great experience that we then purchased a second condo at Parkloft in East Village. Chad assisted us every step of the way and we continue to be in touch because when it comes to San Diego, Chad’s the guy you need to talk to!